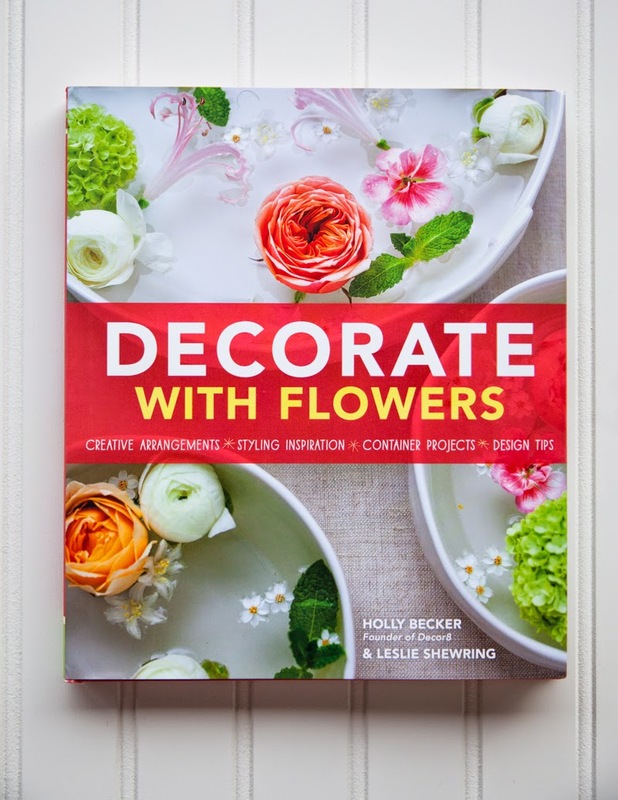 Creative and inspiring, this beautiful new book by Holly Becker and Leslie Shewring brings a fresh approach to floral design by presenting DIY flower arrangements that add flair and personal style to one's home. This unique volume provides a holistic approach to flowers by considering how they influence decor and entertaining style. 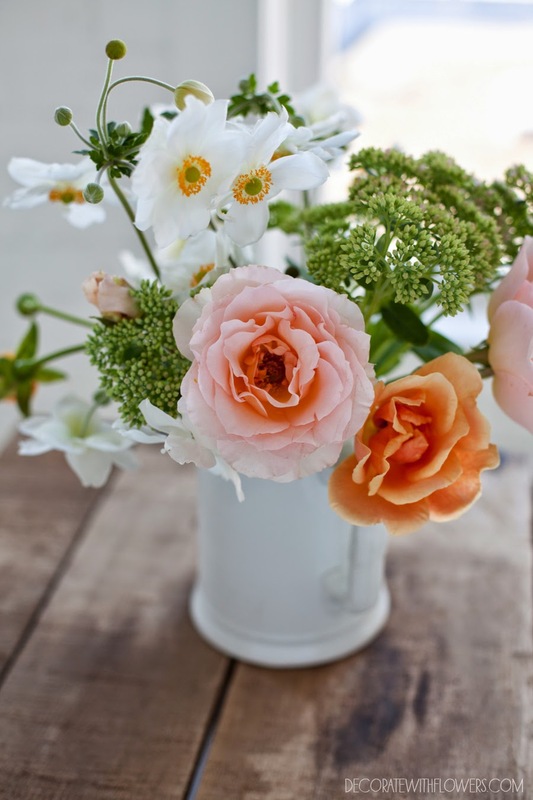 Garden flowers, grocery store bouquets, and farmer's market finds take on new life when cleverly styled and placed in the right container. 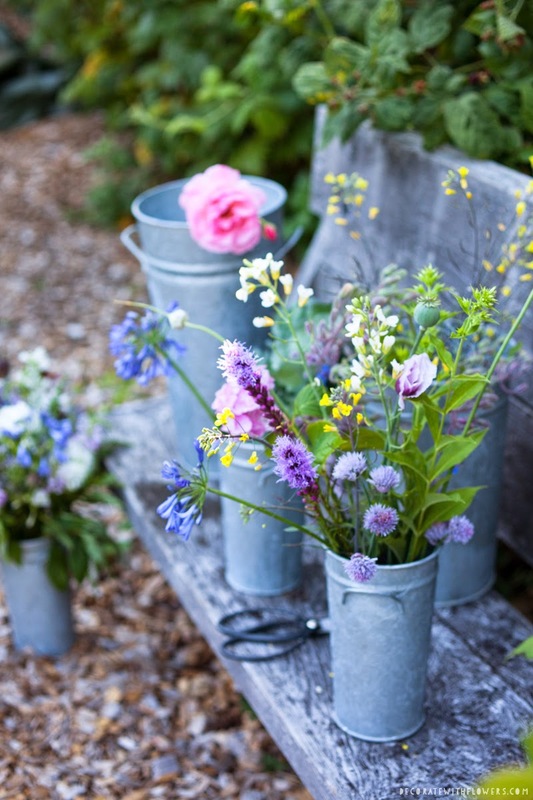 Tips on selecting and properly handling flowers along with easy to accomplish step-by-step arrangements form the first part of the book. The following chapters focus on styling flowers and fusing them with decor and design to create a personal and meaningful effect. This portion is organized by style and color, including sections on Natural, Market, and Coastal decor. Each chapter presents a creative inspiration board and a related DIY project, like the example shown below, where Liberty prints have been used to cover flower pots. The arrangements shown are stylish and never fussy, made with color and design principles in mind and showcasing a variety of colors and textures. Unique containers and floral displays are featured such as the coffee mug vase and the floating bowl of flowers pictured. As a former student of both Holly and Leslie in the celebrated class, Blogging Your Way, I have always been dazzled by their collective sense of style and design. Holly is the founder of Decor8 design blog and is also well known for writing Decorate, and Decorate Workshop. Leslie is a freelance photographer and stylist who has worked for clients such as Hallmark Cards and Stampington & Company. She also blogs at A Creative Mint. They are both remarkable ladies and such an inspiration! Decorate with Flowers was published by Chronicle Books and is available through Amazon.com and at bookstores. All of the photos in this post were graciously provided by www.decoratewithflowers.com. The Gilded Bloom is now on Facebook, Twitter and Pinterest. 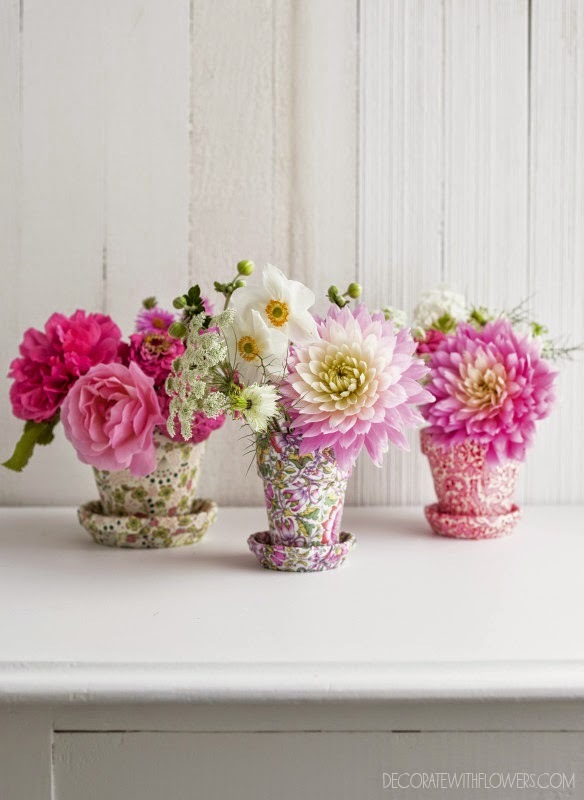 For more floral inspired ideas and updates, please connect with me on these networks. You can also follow The Gilded Bloom on Bloglovin' or via email using the subscription box near the top of this page. Hope to see you there! © 2010- 2016 The Gilded Bloom. All rights reserved.. Powered by Blogger. New Art Collection available in the shop! 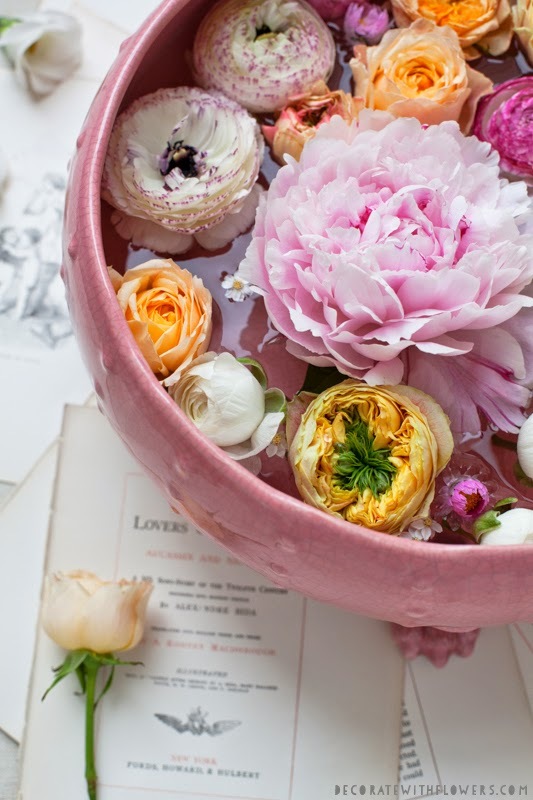 The Gilded Bloom is a creative home and garden blog featuring floral and interior styling ideas, gardening inspiration, art and photography. Thanks for visiting! All artwork, photography, and written content on this site is the property of The Gilded Bloom unless otherwise noted. Please email me for permission and terms if you'd like to use any of the images or text.